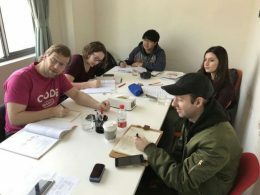 Learning Chinese in Shanghai via a small group is a great way to get quality teaching for a really attractive price. Every student who comes to study Chinese in Shanghai with us is different. 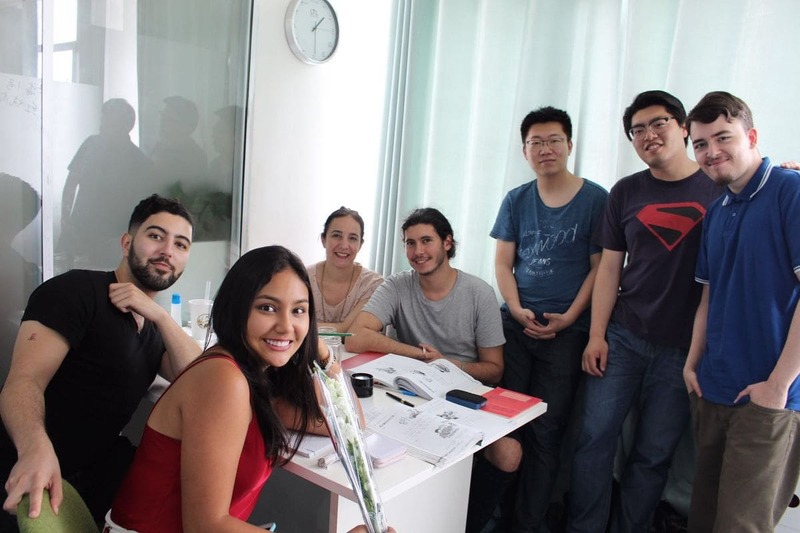 No two students are the same and we make sure every single person who comes to LTL Shanghai enjoys their experience as much as the next. 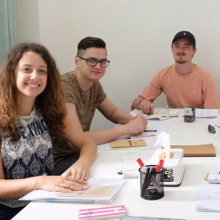 We keep our groups small, with a maximum of six students per class and an average of three. That way everyone gets the chance to practice their pronunciation and ask questions – every lesson, every day. In such a tight-knit group you’re also sure to quickly build friendships with your fellow classmates. Already know some Mandarin Chinese? You can start on any Monday of the year. Our Mandarin language programs are super flexible. You can sign up for classes for any length of time, whether you want to study for one week or one year. 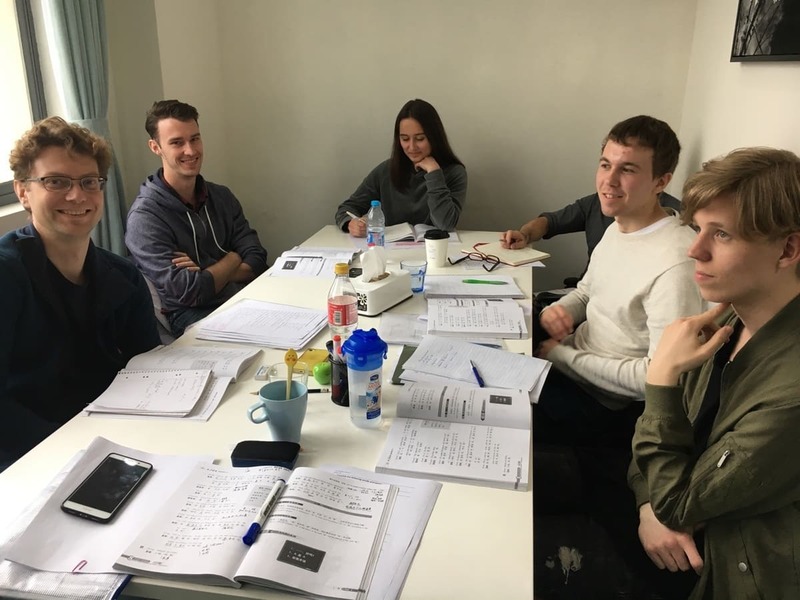 What’s it like studying Chinese in a group at LTL? Below are the tuition prices in Chinese Yuan (CNY) for some sample durations of the Standard and the Intensive LTL Small Group programs. All prices include your textbook and learning materials. As you can see, the longer your course, the greater the discount on the base tuition price – up until 12 weeks, after which the minimum rate applies. 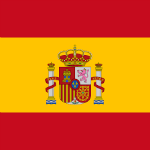 For alternative durations and prices in other currencies, please contact us. 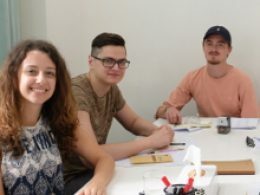 I had a great time at LTL, the student environment was very friendly, and I really had the feeling I made immense progress in my 5 weeks here. I really enjoyed my summer. I was doing small group classes. I was able to cover a lot of material in my short stay, learning new material in the morning and then applying and seeing how it was used in the afternoon. My Small Group class was taught by two different teachers. Both were very good, and I really liked them. By their attitude and energy level, you can just tell they are passionate about it. My study program was perfect, suitable for my learning needs. The teachers were friendly, professional and patient with me. I highly recommend LTL for anyone looking to study Chinese in Shanghai. 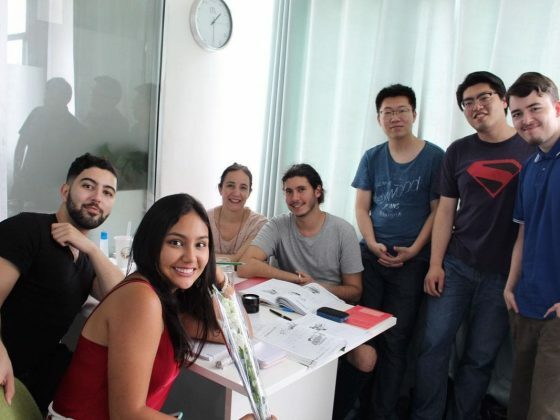 I chose to study at LTL in Shanghai because they replied to my query super quick and the course was very clearly structured; everything was really well organised. The opportunity to study 20hrs of group classes and add 10hrs of 1-1 classes per week is really unique. All the teachers were really good. I think progress with languages really depends on the teacher, and I really had the feeling I made immense progress in my 5 weeks at LTL. The school environment was very friendly, and I also liked the school surrounding area very much. I’m planning to continuing studying Chinese and might return to study with LTL in February for a few weeks. Thank you so much for my nice time at LTL 🙂 I really enjoyed my summer there. I was looking for a short term language program in Shanghai. I researched LTL as well as some other school. LTL had good reviews, and the starting date and location fit well with my needs. 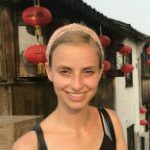 Before doing my language course in Shanghai I traveled to Beijing on my own. I was concerned about getting lost, getting ripped off and so on, but none of that happened. 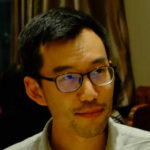 By the time I arrived in Shanghai I was already more confident about moving about in China. Shanghai was more diverse and more developed than I expected. I was doing small group classes. I was able to cover a lot of material in my short stay, learning new material in the morning and then applying and seeing how it was used in the afternoon. The latter part of the day was tougher because of this, but very rewarding. My teachers, Amanda and Gina were both very knowledgeable and patient with me even though I had some problems with reading and characters. If I have the opportunity in the future, I would like to come back to LTL. I have been to China 5 time already before joining LTL. I like Shanghai, and wanted to come again to establish business contacts. I searched online for a language school, and came across LTL. The starting dates fit perfectly with my schedule. The website had a lot of information and it was obvious that LTL has existed for a number of years. Airport pick-up went smooth. My accommodation which was a small room in a shared apartment was fine. It was in a great location and the building was a high rise which gave a great view of the city. I could even see the Pudong skyline. As it was a shared apartment with seven people in total there were some disagreements here and there but nothing major. I was happy that the room had its own AC unit and large windows, which was great. The apartment had a washing machine and a balcony which I appreciated. As for classes, my Small Group class was taught by two different teachers. Both were very good, and I really liked them. By their attitude and energy level, you can just tell they are passionate about it. I loved learning with them, they really know how to encourage people. I can say nothing but great things. I will continue learning Chinese back home, and I also already plan to come back to LTL again! 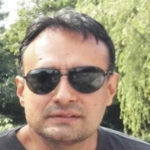 My study program at LTL was perfect, very suitable for my learning needs. The teachers were very friendly, professional and patient with me. They pushed me to work harder. A perfect atmosphere for learning; there were only 2 people in my group!! And the classroom was bright and comfortable. The staff at LTL were very attentive and willing to help for any type of problems during the stay at the academy. I also liked the weekly activities, good opportunities to learn about Chinese culture and food etc. I’m continuing my Chinese studies and I’d like to return to China in the future and hopefully LTL too. 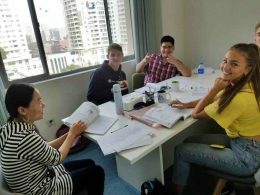 I highly recommend LTL for anyone looking to study Chinese in Shanghai. Since I already studied Chinese before and I was acquainted with the Chinese characters, coming to Shanghai my primary goal was to understand spoken Chinese because I had a huge trouble registering the sounds of the language in my head. During my stay in Shanghai and with the everyday classes, I can say that I met my goal. My teachers were great each one of their own accord and I didn’t have any trouble integrating in a class that was in progress before I joined. Jason gives the feeling of an older teacher or a father figure teacher… and expects his students to study har and be prepared for class. He wants to share his knowledge by motivating us to ask questions. Ray is really funny and shares a lot of personal stories in his class that allows the students to relate and learn as if they are part of the Chinese society… as if they also belong here. Until now my Chinese studies were focused on the HSK tests (that try to balance the learning of the characters with grammar and vocabulary) and as a result after 3 years of studying my vocabulary was poor. Your study program focuses more on being able to understand and speak Chinese in everyday situations, that was very helpful and eye opening for me. Overall, I am very happy with the teachers and the study program. The environment at LTL was great. Especially for people that visit alone and have no friends there everyone was very helpful and friendly. 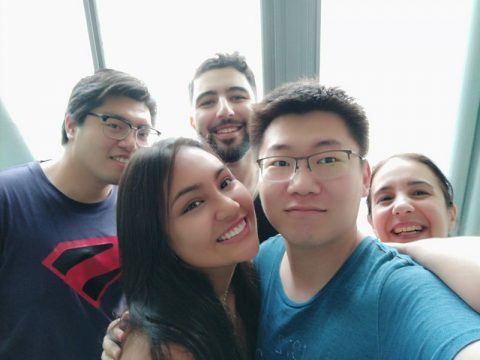 With the activities that you organize every week it is very easy to make friends and the most important thing is that you feel secure that if something “bad” happens you can always get help from you guys. Do you have a Small Group for my level? Small Group classes for complete beginners start at least once a month on the start dates listed above. If you’ve studied some Mandarin Chinese before, you’ll get a personal language assessment with our Director of Studies before your arrival. 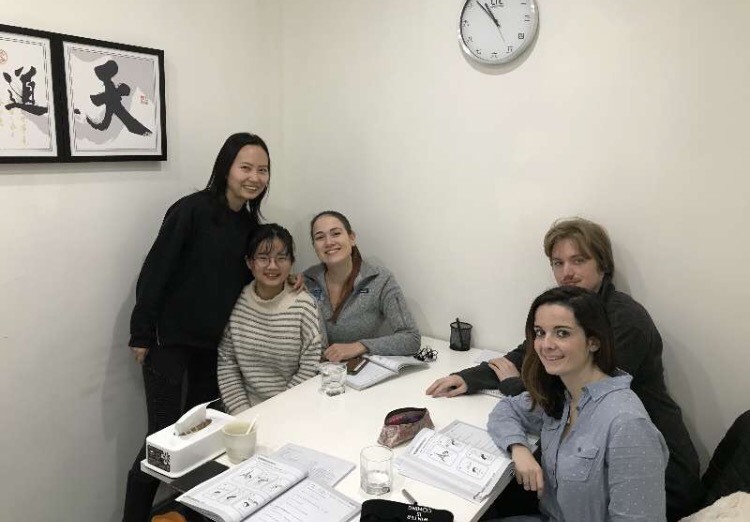 You’ll then be assigned to the appropriate group for your level so you are safe in the knowledge that when you come to Learn Chinese in Shanghai, you’ll be set! How much Chinese will I learn? The amount of progress you will make obviously depends on how hardworking you are, and how you choose to spend your time in Shanghai outside of the classroom. From experience, those who stay in an LTL homestay with a local family will gain oral fluency more quickly than those who live with other foreigners. As a general guideline, a student on the Small Group program could expect to reach at least HSK 2 level after 8 weeks, if not HSK 3. 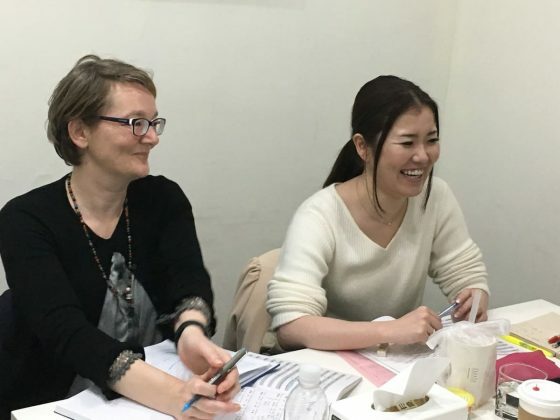 Coming to China to Learn Mandarin requires far more than just four hours of classroom study. You must try and make every effort to immerse yourself into Chinese culture, the language and everything that comes with the country. How many students in a Chinese Class in Shanghai? Our class sizes are never more than six students in a class, but actually the average is less than three students per class. We are huge believers in getting our students speaking. There’s no big lecture halls, no big class sizes – it’s incredibly intimate and this is part of the reason why our students learn Chinese in Shanghai so fast. Are all your Chinese lessons in school? 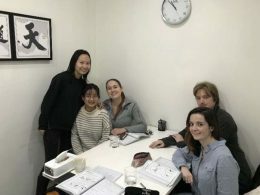 Yes, all our group classes take place at our Chinese language school in Shanghai. You will receive a schedule from our staff showing you when you have classes. 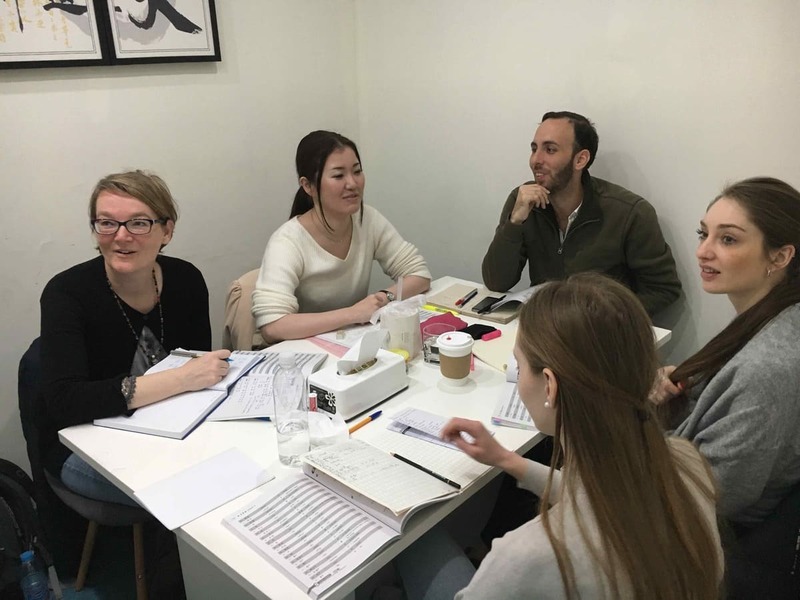 As a general rule of thumb, Mandarin classes in Shanghai run from 10am-12pm and 1pm-3pm with an hour break for lunch at 12pm. This can vary slightly so be sure you know your schedule. Ask us if you are unsure. I'm worried the level of students in the class will detriment my learning, can you re-assure me? Sure we can. Remember, when you sign up you are placed in a group with students who also share your level. There is a complete level playing field here. Obviously when you start learning Chinese some learn quicker than others but the level never fluctuates too far. If you ever feel concerned with the level of Chinese you possess compared to your classmates please speak to us but you will always be set off at a level playing field. Can I study Chinese in other cities with LTL? You absolutely can! Why not experience other parts of China after all? Your options lie in Beijing and Chengde which are all polar opposites to Shanghai in many ways. Beijing is the capital and the heart of China. It oozes history and culture but has an impressive new modern side to it. Chengde then throws a complete curveball to the experience. Minute, in compared to Beijing and Shanghai yet a great place to learn Chinese, because no English is spoken there! We are also delighted to offer you Mandarin courses in Taipei, the #1 city in Taiwan as our next destination. Technically not China, this is a fascinating place to visit and study Mandarin with LTL. Simply click here to contact a Student Advisor directly and we’ll be in touch quickly to get you sorted out!